Steve Aronson may have chosen to make his life in a country renowned for laid-back pura vida, but he’s the ultimate multitasker. As soon as he picks up the phone he’s off and running, talking about his latest of many projects – which today happens to be the premiere of “Building of the Wall” by Pulitzer Prize-winning author Robert Schenken, which his Teatro Espressivo is bringing to Costa Rica and throughout Central America. Over the years, Aronson’s energy has brought about big results: for Café Britt, which he led to international success, and for the dizzying array of nonprofit, philanthropic and cultural projects he’s founded, steered or supported. Aronson, who is a U.S.-Costa Rican citizen, created the Demain Foundation, which in turn supports initiatives including Proparques, which addresses the needs of the country’s national parks; ASOBITICO, which implements the prestigious International Baccalaureate curriculum in Costa Rican public schools; and the Teatro Espressivo Cultural Association, whose mission is to organize high-quality cultural events for urban and rural audiences. On Monday, Aronson received the annual CRUSAder of the Year Award from the Costa Rica USA Foundation for Cooperation (CRUSA). 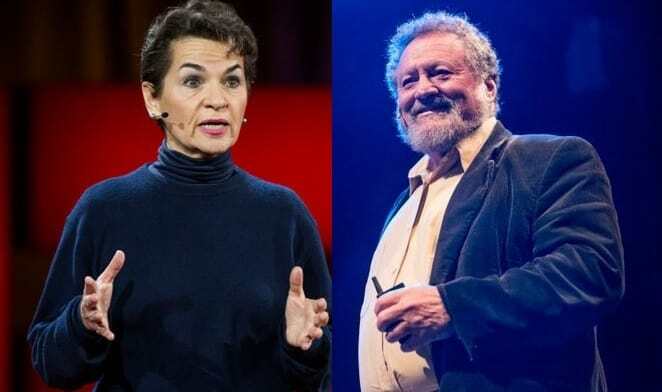 Each year, CRUSA offers the award to one U.S. citizen and one Costa Rican for outstanding contributions to sustainable development; Aronson ‘s fellow awardee this year was climate change negotiator Christiana Figueres. At the CRUSAder of the Year awards dinner on Monday at the Hotel Real Intercontinental in Escazú, 210 people gathered to celebrate the honorees and raise $34,800 for nonprofits around the country represented on the Amigos of Costa Rica platform. 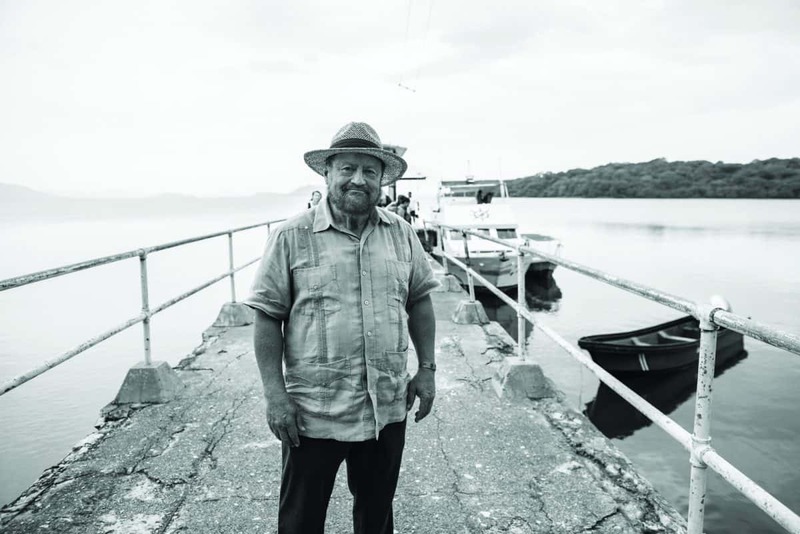 Ahead of the event, CRUSA staff spoke with Aronson about how he’s seen Costa Rica change since he first arrived, why he’s optimistic for the country’s future. Excerpts follow. Tell us about the first time you came to Costa Rica. It was in ’69 – I was studying cultural economics, so I did my graduate thesis work in Colombia and decided I would hitchhike back to Ann Arbor, Michigan. I took a plane to Panama and headed north. My mom had a best friend from high school who married a fellow from Alajuela, and the parents lived facing the cathedral… I stayed with them and went to Playa Javilla, went to Malpaís when nothing existed. And it was [during] Vietnam, so I saw this country without an army, and the cops didn’t have guns. They had screwdrivers to take the license plates off the cars. So I had that in the back of my mind. I knew that I would be somehow working the tropics, because I was working on processing of agricultural products at that time, and value chains. Then I spent the next seven years trying to get back. The country has changed so drastically since that time, and is facing a lot of challenges right now, such as the fiscal crisis. Do you feel hopeful that Costa Rica can overcome it? I live in the same village I came to when I moved here in ‘76, the same farm. So I’ve watched this happen in front of my eyes. Now I know the grandchildren of my neighbors. The most important problem that concerns me is the breakdown in the social contract, which is the most attractive part of Costa Rica, right? Because economics and politics, those are things that come and go… Foreign investment [has] slowed down, the country became more expensive, and we began to have bigger gaps between rich and poor all those things that come from having overvalued currency and a country that’s not concerned about inclusion. But I have to be optimistic, because the essential character of people hasn’t changed. I have to think that the essential character of Costa Ricans will save us. I’ve worked in enough Latin American countries where people really hate each other, whereas here, people really listen and respect each other, mostly. What has changed I think is this gulf between kids from public schools and kids from private schools. That’s part of what I was doing with [ASOBITICO]. If we’re going to do something that works in this country and feel optimistic about it, it has to address the social contract. Learn more about ASOBITICO or donate to the project here. What role can philanthropy and the private sector play in that process? The main thing that the private sector can do is realize that they’re living in the 21st century and the government’s living in the 19th, and [we need to] transfer skills to the public sector. The good initiatives in the private sector are all with that sort of idea – the big initiative of Horizontes Positivos [an association on whose board Aronson serves] is called La Guillotina Administrativa, which is actually a technique of looking at all of the steps and trámites and what they’re for, and cutting them out. PROCOMER is working a lot with the private sector by doing the Ventanilla Única de Inversión [a platform to facilitate investment paperwork]. Back to whether I’m optimistic or pessimistic… I just don’t know. It’s much bigger than us. It’s all about climate change, it’s all about people not having jobs any more, the people having fears about their identity going away, and all the things that we all know about. What I say is what Tolstoy said: worry about your neighborhood. What I’m doing is all about the neighborhood that my grandchildren are living in. That’s about as far as we can get in a world that’s going to be so different in ten years. Otherwise it can get overwhelming. Yes… It isn’t that I don’t believe in philanthropy. I just don’t think that’s the right word. I don’t think there’s any such thing of anyone doing something that’s completely disinterested. Let’s start to think about what interests me: the neighborhood you live in, that your business is in, your kids are in. So, I won’t use the word philanthropy – but what do you see as the biggest untapped opportunity for the nonprofit sector in Costa Rica? It’s similar to what I said about the private sector and the public sector: the biggest opportunity we have is transferring best practices. It’s not only best practices technically – it’s best practices in philanthropy, in measuring impact. Are we really decarbonizing? Do we really understand how to prepare kids for the next generation where a lot of the things they learn aren’t going to be useful? It’s about low-hanging fruit and it’s about being effective. The bottom line is you have measure it. You can’t just feel good. I come from a tradition that says, you have to leave the world better than it was when you arrived. So that’s what drives me. In general – that’s all that we can do.